Reprint. Originally published: New York: Random House; London: Collins, 1990. A brand new paperback edition of this classic tale from Dr. Seuss encouraging us to take life in our stride. 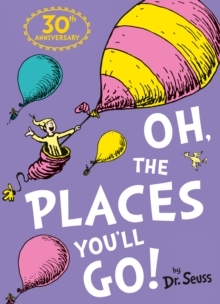 From fun times and triumphs to lurches and slumps, Dr. Seuss takes an entertaining look at the adventures that life may have in store for us. This brand new paperback edition is perfect for everyday reading for all ages, as well as for those important life events such as graduations, weddings, christenings or changing school.